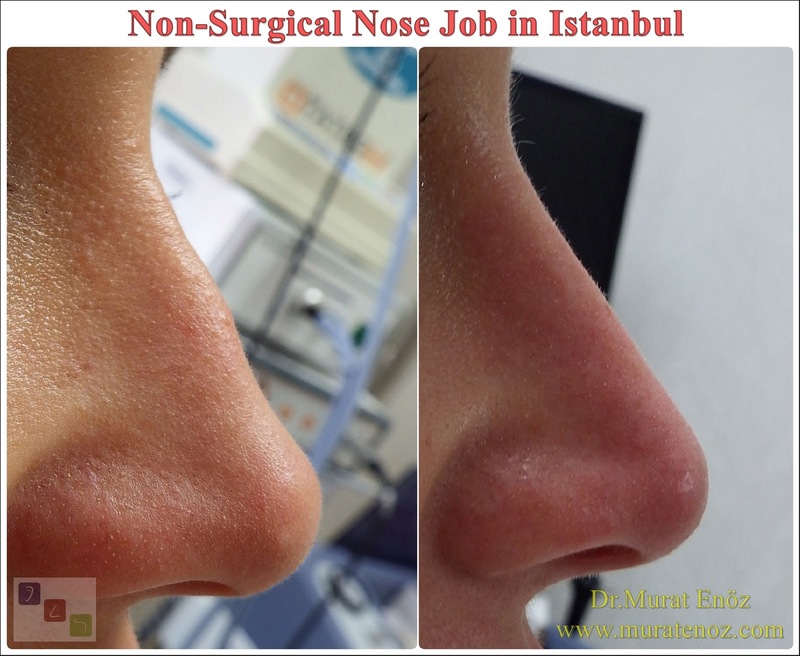 ﻿Aesthetic nose surgery (rhinoplasty), perhaps the most difficult of all facial surgery operations. The vast majority of rhinoplasty surgeries are successful when performed by an experienced rhinoplasty surgeon, and no post-operative problems occur. However, the characteristics of the patient's healing tissue, the surgical technique used, and postoperative care affect the occurrence of these risks and complications. 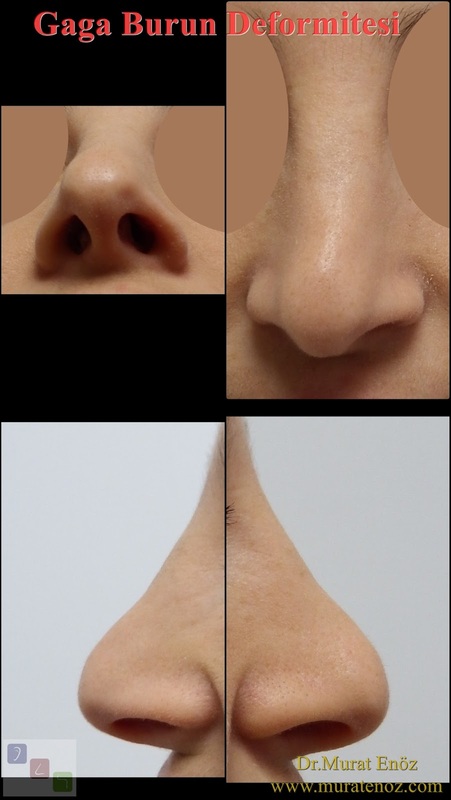 Nasal aesthetics is not a simple computer animation, and as with every surgical procedure, there are some risks associated with nasal aesthetic surgery. Rhinoplasty requires understanding of art and science. 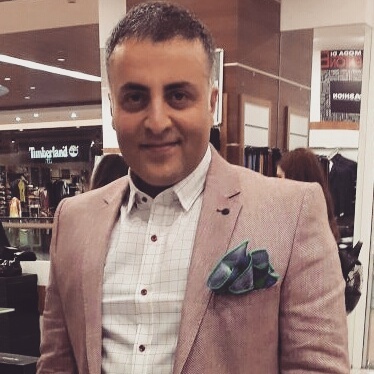 The attempt to form a specific shape and to create this shape has led to a variable, difficult and detailed surgical procedure rather than a standard procedure. According to the current literature, the complication rate for nose surgery varies between 4-19%. This ratio decreases as surgical experience increases. 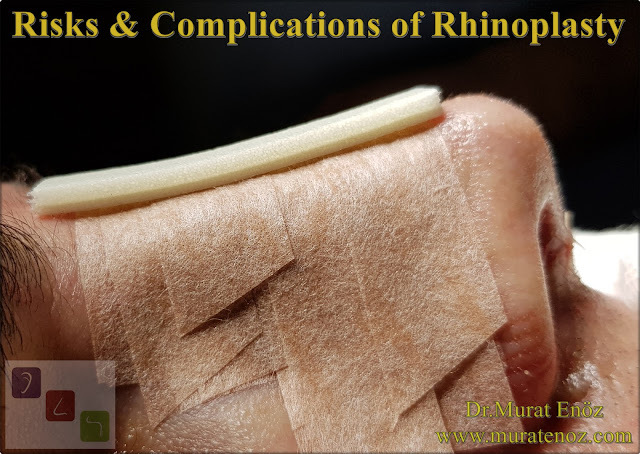 Skin and related soft tissue complications occur in 10% of cases. According to estimates, severe systemic or life-threatening complications occur in 1.7-5% of cases. Intracranial complications are rare. The risk of complications can be reduced as minimally invasive techniques occur and materials with increased tissue compliance are produced. • Nasal Obstruction: Perhaps it is among the most common side effects of rhinoplasty. 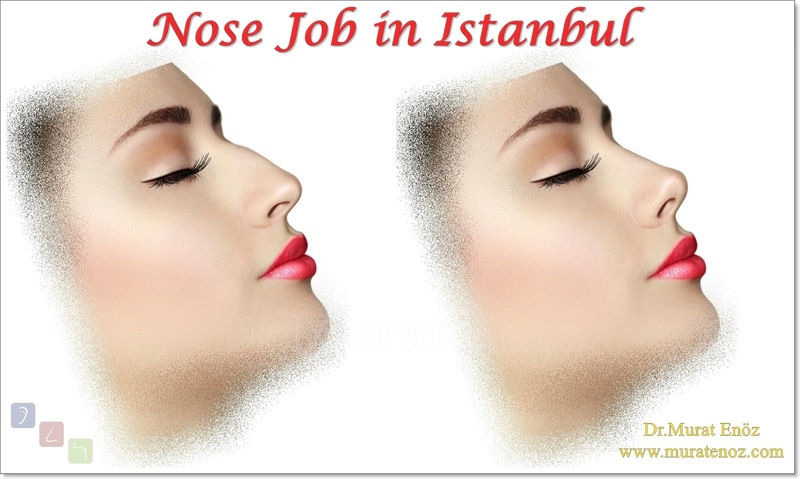 After a successful nasal aesthetic, a good-looking and functioning nose should emerge. 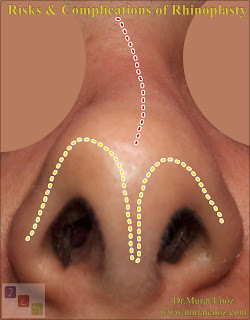 With modern rhinoplasty techniques and accurate analysis and diagnosis of the patient's nose before surgery, problems of breathing can be avoided. • Bleeding: There is a risk of bleeding for the first 10 days, with a higher probability of first 3 days after rhinoplasty. Patients with bleeding disorders with NSAIDs (non-steroidal anti-inflammatory drugs such as ibuprofen, naproxen, aspirin), blood thinners, or personal family history are at higher risk. • Infection: Any surgery infects the risk of infection. Sensitivity to the sterile operating room environment may reduce this risk (the emphasis of the hospital is on emphasis). In the above photo, a granulation tissue is seen in the nose (welded from the top to the inside of the nostril) in a patient who underwent a nasal surgery three weeks ago. Treatment with simple antibiotic pomade and silver nitrate application is complete. • Scarring: After open surgical nasal aesthetic surgery, a noticeable incision trace may occasionally appear at the incision site at the nasal tip. Usually this heals well and is not noticed at the scarring distance (there are also the disadvantages of open technique nose aesthetics as well as the advantages). • Nasal Deformity: During the healing process in the bone or cartilaginous areas after cartilaginous or nasal cartilaginous processes, cartilage and bone tissue changes that may cause asymmetric appearance may occur. 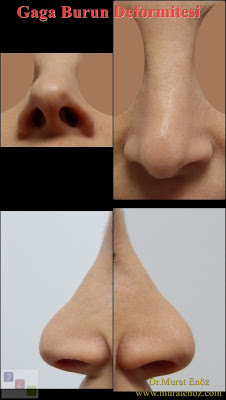 In the photo left side, photographs of the nose of a patient who had undergone a nose surgery in a different clinic and whose nose was Pollybeak Deformity and Curved Nose Deformity appeared. In the patient who had nasal rasping with closed technique, it appears that a bird-like gag-like appearance appeared when the side of the bone section of the nasal arch was retreated and accompanied by inadequate resection of cartilage tissue underneath the nose arch. 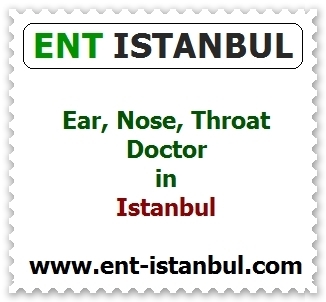 • Nose tip drooping (or nose tip sagging): The nose support is being reconstructed during nasal surgery. In order to increase the nasal support, cartilage grafts are usually placed on the tip of the nose and the existing natural nasal support cartilages are protected. If the nose support is impaired during nasal endovascular surgery and if there is not enough repair, nasal tip drops may occur after the operation. 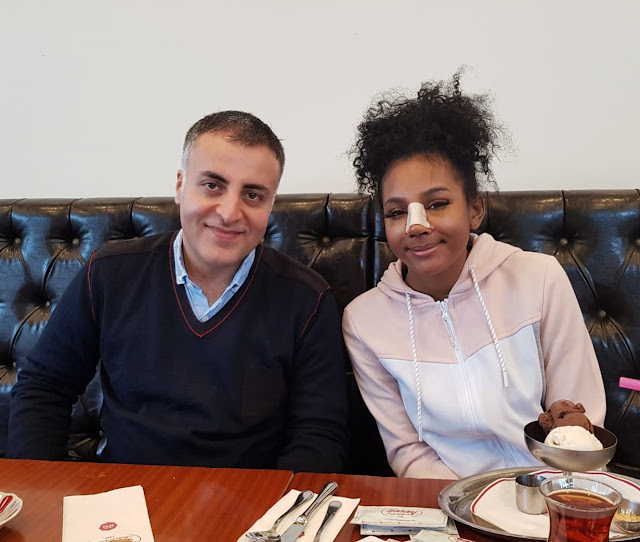 • Septal Perforation (or Nasal Septum Perforation): It is possible to create a permanent hole in the septum of the nose after surgery if the membrane covering both sides of the septum and the middle cartilage are damaged in full thickness. 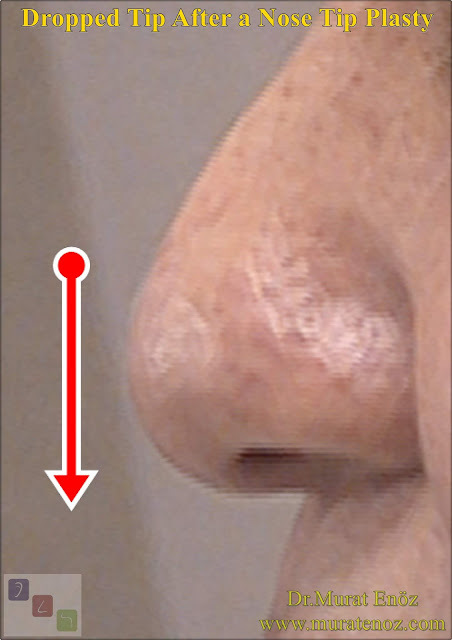 In the above photograph, a perforation area in the septum of the nose is seen in a patient who had previously undergone a septorinoplasty operation in another clinic. • Surgical Suture (Stiche Material) Reactions: During nasal surgery, tissue reactions can occur due to permanent suture materials (for this reason I usually prefer to use absorbable suture materials). 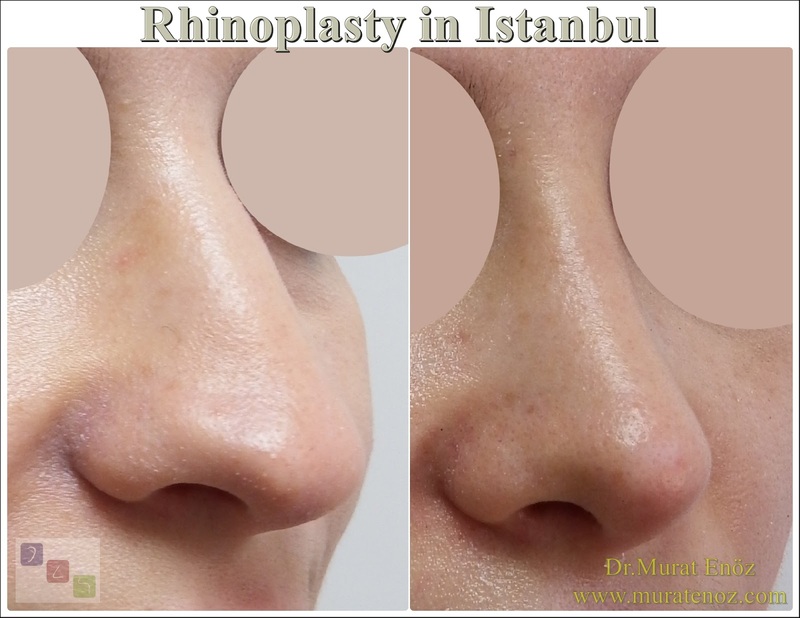 Rhinoplasty is described as "the most difficult of all facial plastic surgery procedures". 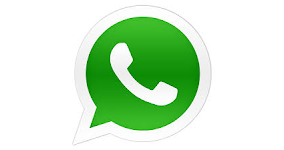 As with all surgical procedures, there are risks and benefits. When deciding whether or not to have surgery, the weight of the risks and complications should be assessed with the benefits of rhinoplasty with the patient's surgeon. As with all surgical procedures, the main risks include infection, bleeding and anesthesia-related reactions. Fortunately, all of them are extremely smooth. 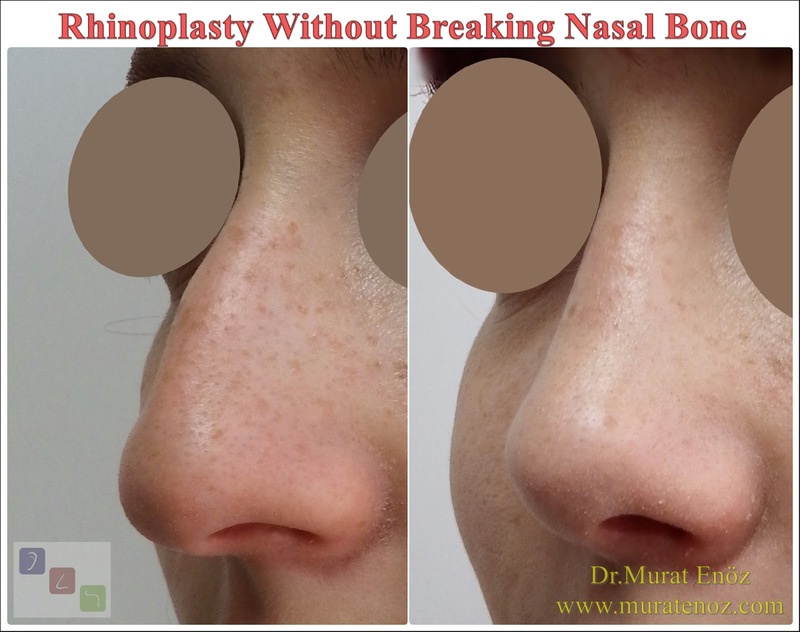 The most common complication following rhinoplasty is a functional problem in respiration or a cosmetic problem, both of which require revision surgery in some cases. The most authoritative rhinoplasty surgeons have revision surgery rates between about 3% and 7%. Although rhinoplasty surgery is generally considered a safe surgical procedure, complications can sometimes occur. The great majority of complications stem from dissatisfaction with aesthetic outcomes. Revisional surgery may sometimes be necessary under these conditions. Nasal aesthetic surgeries are usually performed under general anesthesia, and anesthesia also has its own risks.